If you've been searching for a reliable general contractor to assist with projects around the home, look no further. Sanchez Home Improvement is ready to tackle your repair or remodeling jobs. We specialize in various types of home improvement, beginning with flooring. We will repair, re-stretch or replace your carpet. We have plenty of samples from Berber's to plush to commercial. 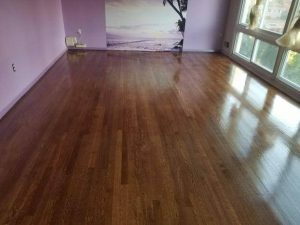 We do hardwood install and hardwood refinishing. We do tile, ceramic or vinyl or vct, even linoleum. We do duracermic as well. We have professional painting services. we will help with color selection and design. We do house repairs, big or small. We do Unfinished basements, flood repair. We do roofing and siding, cabinets, kitchen renovations, bathroom renovations and more!!! 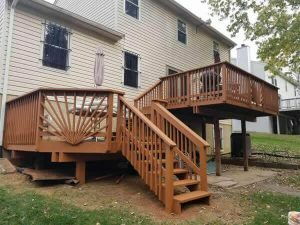 Home and business owners in Fort Washington, MD turn to Sanchez Home Improvement with their most important contracting projects. We're a general contracting company that provides a wide variety of services for residential and commercial spaces undergoing construction ranging from partial remodeling to a complete renovation. Our general contractors pride themselves on outstanding customer service and getting the job done. Whether you're breaking ground on a completely new house or building, or renovating your existing space, Sanchez Home Improvement can help make sure the project is completed precisely to your specifications. We work with you, the architects, the construction workers, and anyone else involved to coordinate efforts efficiently. We'll oversee the management of the construction site to ensure that everything adheres to your vision and is completed in a timely manner. Call or visit Sanchez Home Improvement in Fort Washington, MD today to hear more about our services. When you work with Sanchez Home Improvement, you'll have a world of options from which to choose. From smaller renovations to complete overhauls, we're equipped to handle it all. Choose us for your home remodeling project, and we'll take the time to understand your needs and goals. From there, we'll work to come up with creative, cost-effective solutions for transforming your home into the space you've always wanted it to be. Could your bedroom use a fresh coat of paint? Are you looking to breathe new life into your kitchen or dining room? It's amazing what a new paint job can do for your space. 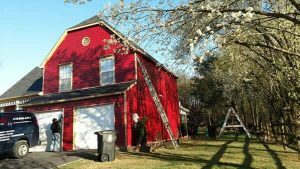 So if you're looking for quality painting services in Fort Washington, MD, trust the team at Sanchez Home Improvement to get the job done. Is your bathroom outdated? Is it full of old, dingy tiles and chipped or cracked fixtures? You use your bathroom on a regular basis, so if your current space isn't serving your functional or aesthetic needs, it's time to consider investing in renovations. And if you're looking for a dedicated team to handle the job, turn to Sanchez Home Improvement. At Sanchez Home Improvement, we pride ourselves on our ability to provide quality products and outstanding service. We understand that as a customer, you want to stretch your home improvement dollars as much as possible. When you work with us, we'll go out of our way to offer you cost-effective options designed to get your bathroom looking its best. No matter the size or condition of your bathroom, we're up to the challenge and committed to your satisfaction. Make a smart investment with bathroom remodeling services from Sanchez Home Improvement. For more information or to schedule a consultation, call us today. 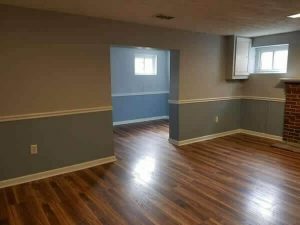 Do you have an unfinished basement in your Fort Washington, MD home? Why not take advantage of all that added space? At Sanchez Home Improvement, we offer basement renovation services designed to help you make good use of that extra square footage.ent. 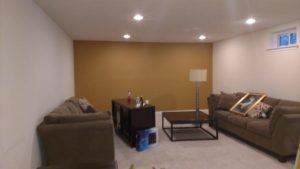 Turn your old or unfinished basement into a space you and your family can enjoy for many years to come. Call Sanchez Home Improvement today to schedule an estimate. Do you love to cook? Do you simply want to update your kitchen to increase the overall value of your home? No matter your motivation for wanting to redo your kitchen, we've got options for you. 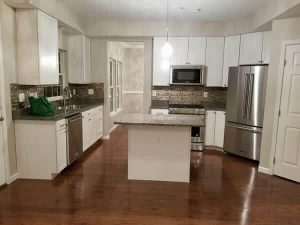 At Sanchez Home Improvement, we offer quality kitchen remodeling services for homeowners in Fort Washington, MD. At Sanchez Home Improvement, we believe in offering our customers the best value possible. No matter the scope of your remodeling project or the size of your budget, we pledge to give your space our full and undivided attention. We want you to come away more than satisfied with the results we produce; and we'll be happy to walk you through your options and help you stretch your home improvement dollars to the greatest extent possible. FInvest in a new and improved kitchen and do your part to enhance your home's overall appeal. Call us today for more information about our kitchen remodeling services or to schedule an on-site estimate. If you're in need of drywall installation work in Fort Washington, MD, you've come to the right place. Sanchez Home Improvement has the tools and skills to take on drywall installation projects large and small. Whether the job involves installing drywall for a residential basement renovation or installing drywall for a new commercial property, Sanchez Home Improvement is up to the challenge. As a trusted drywall installation company in Fort Washington, MD, we pride ourselves on the exceptional service we bring to every project we undertake. From our reliable, seasoned crew to our competitive rates, we do our best to exceed customer expectations every step of the way. We'll install your drywall carefully and accurately; and we'll be happy to keep you updated on our progress as we work to complete your project. Best of all, we'll leave your property clean and tidy, just like you deserve. For more information about our drywall installation services or to schedule an estimate, call Sanchez Home Improvement today. New flooring can enhance the appearance of any business or home. So if you're looking for quality flooring installation work, turn to Sanchez Home Improvement. Our team provides a wide range of flooring installation services, from hardwood to carpet to everything in between. At Sanchez Home Improvement, our goal is to offer you options for your flooring installation project. Whether you've got an open budget or are working within financial constraints, we'll come up with suggestions to suit your style and surroundings. From elegant tiles to simple laminate, we can install your new flooring quickly and efficiently, all the while paying attention to detail and upholding the standard of quality you've come to expect. Have you finally replaced your old, dingy flooring with an updated version? Redoing your flooring is a good way to improve the look of your business or home. But getting rid of the flooring you're done with is another story completely. So if you need reliable flooring removal services in Fort Washington, MD, ours is the team to trust. 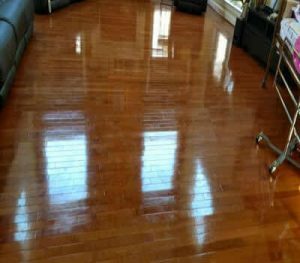 If you need flooring removed from your property in Fort Washington, MD, our team is here to make the process as simple as can be. Call today for more information or to schedule an appointment. Your flooring says a lot about your style, your taste, and the atmosphere you're looking to create for your business or home. So when it comes to finding the right type of flooring, you're best off exploring your options. And that's where we come in. 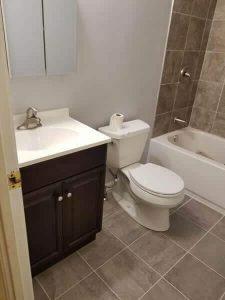 At Sanchez Home Improvement, we offer a wide variety of flooring materials for residential and commercial clients throughout Fort Washington, MD. At Sanchez Home Improvement, we understand that flooring is a major investment. That's why we'll take the time to walk you through your options. No matter your preferences or your budget, we'll help you find something that works for you. Whether you're looking for elegant hardwood, upscale marble, or cost-effective laminate, we can install your new flooring quickly and efficiently, all the while working hard to ensure that you come away satisfied with the final product. Many people consider painting a do-it-yourself kind of task. But painting takes time, skill, and attention to detail; and even if you're willing to put in the effort, you may not have the tools to produce the clean lines and corners your space deserves. At Sanchez Home Improvement, we pride ourselves on delivering a meticulous final product. No matter your painting needs, we'll approach your project in a thorough, detail-oriented fashion. Treat yourself and your space to a paint job from Sanchez Home Improvement in Fort Washington, MD. Call today for more information or to schedule an estimate. Whether you're planning major renovations or have a simple repair job, Sanchez Home Improvement is at your service. Our team of professionals has the tools and skills to complete your project, no matter the size. We're committed to providing the highest possible level of quality and craftsmanship to our customers from Greater Fort Washington. If you've been searching for a contractor to help you with your home improvement tasks, look no further. Even if you're handy, some projects require tools and skills you may not have. When you hire us, you won't have to sweat the details or pay to rent equipment. And with our crew on the job, you won't have to worry about making a costly mistake. You can count on Sanchez Home Improvement in Fort Washington, MD, for all your projects. From replacing a few fixtures to redoing your kitchen or finishing your basement, we're up to any task. We offer convenient scheduling and prompt, reliable service. With our reasonable rates, there's no reason not to use us on your next job. Call today for more information about our home improvement services. As an established contractor in Fort Washington, MD, we strive to provide high-quality roofing services to all our customers. Our team of skilled professionals is diligent to keep up-to-date on building permit requirements, neighborhood covenants, and zoning laws. That way we know what's necessary to get the job done right the first time. Along with having a high standard of service, we endeavor to get every project done on time and within budget. Sanchez Home Improvement was established in 2003 to provide roofing solutions for our customers from Greater Fort Washington. Our highly experienced crew is committed to meeting people's home repair and improvement needs. Whether you need help with roof inspection, repair, or installation, we're the team to call. Let us tackle your next project. Call our locally owned and operated business to get more information about our rates and services or to schedule an estimate. 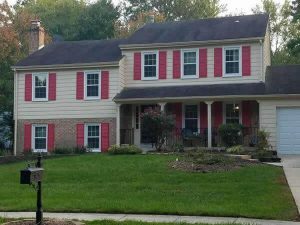 Specializing in residential and commercial siding installation, Sanchez Home Improvement is committed to providing quality siding to customers in Fort Washington, MD. Whether you're looking to enhance the look of your house, increase the resale value of your business, or make your property more equipped to handle the harshest of weather, our qualified and dedicated contractors will help you figure out the best siding option to fit your needs and budget.